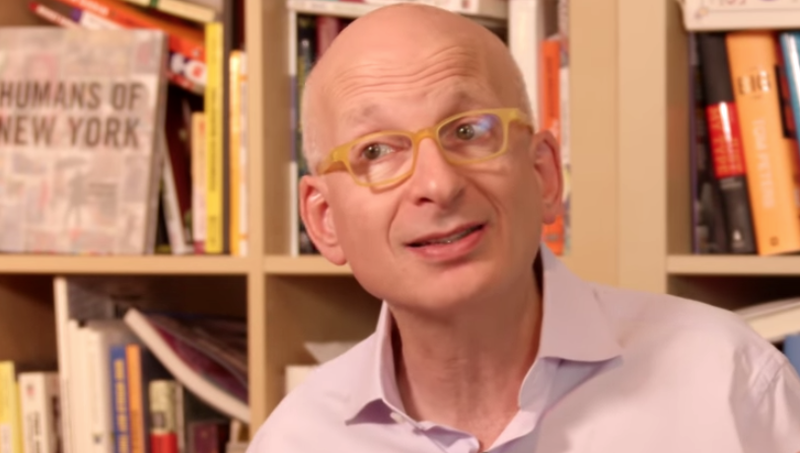 Enterprise marketing legend Seth Godin says that the value of a brand is measured by how much extra you will pay above the substitute. He says that if Nike opened a hotel everybody would know what it would be like because they have a distinct brand. On the other hand, he says, if Hyatt or some other big hotel chains came out with sneakers we would have no clue what they would be like because they don’t have brands. Let’s talk about the difference between a logo and a brand. Companies spend way too much time on their logo, just like people on YouTube spend way too much time on their hair… I’m told. If Nike opened a hotel I think we would be able to guess pretty accurately what it would be like. If Hyatt came out with sneakers we’d have no clue because Hyatt doesn’t have a brand, they have a logo. If I swapped the signs on a hotel at that price point you couldn’t tell. If you were a Marriott, if you were a Hilton, Hyatt, the hallway, the room, I don’t know where I am. No brand. What it means to have a brand is you’ve made a promise to people, they have expectations, it’s a shorthand, what should I expect the next time? If that is distinct you’ve earned something. If it’s not distinct, let’s admit you make a commodity and you’re trying to charge just a little bit extra for peace of mind. The problem that Hyatt and Hilton and Marriott and the rest have is sort by price. If I go online now to find a hotel it’s really simple, sort by price. Why would I pay $200 extra to go a block away? I don’t. What’s the value of a brand? The value of a brand is how much extra am I paying above the substitute. If I’m not paying extra you don’t have a brand. When we think about what brands ought to do to move forward, the most important thing is to not worry about your slogan, your spokesperson, they’re wrapping. Its to worry about the substance, work that matters for people who care. Find the people who care, the smallest viable group you can live with, and figure out how to give them work that matters. There are hotels, these new chains of mini-boutique hotels, that charge double what a Hyatt might charge, for less. But it’s only less by the Hyatt measure. It’s way more by the measure of someone who cares about with the people in the lobby look like or who cares about how hip it feels to walk into the bar. They’re investing not in… oh you get a room with three power outlets. They’re investing in throwing a party in a place where you also can sleep while you’re on the road. Those hotels have a brand and those hotels are some that some people pay extra for but almost no one in the scheme of things.